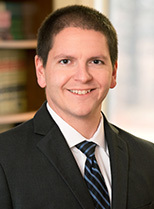 Representing a client in a hearing before the Maine Bureau of Motor Vehicles, Attorney Tyler Smith successfully argued a “rising blood alcohol” defense in an operating under the influence case. Our client was allegedly witnessed consuming alcohol in a parking lot. The witness called the police, who promptly responded and stopped the client after he pulled onto the road. Approximately an hour and a half later, the client tested to have a blood alcohol content (BAC) of .10. The client was charged with operating under the influence, and the Bureau of Motor Vehicles suspended his license on the ground that he operated a motor vehicle with a BAC of .08 or above. Attorney Smith requested a hearing on the suspension and challenged whether there was evidence that the client’s BAC was above .08 while driving. Attorney Smith established through the officer’s training that, when a person consumes alcohol, it takes time for the alcohol to actually be absorbed into the bloodstream. And because the evidence showed that whatever drinking may have happened took place just before the client pulled onto the road, there was insufficient evidence for the State to prove that the client’s BAC had reached .08 by the time he operated the vehicle—even though his BAC may have reached that level by the time he submitted to the test. With this result, the client avoided the 150-day license suspension that is administratively imposed in most first offense drunk driving cases.